Retro-dated and restyled in its original 1930’s ‘Art-Decadence’, the Montagu Country Hotels revives an era of style, flair, fine dining, classic country comforts and heart-warming service... a place where you can really ‘kick-back’ for a few days and take time out to appreciate Montagu’s naturally wonderful environs and attractions. Behind its original ‘Cape-Deco’ facades, its social, dining and relaxation areas embody a special charm where period furnishings, art-deco fittings, mirrors and walls are adorned in all kinds of fashionable forms, shapes and images typical of that time. Within this comfortable setting there’s piano-accompanied, fine, candle-lit dining in the evenings and a Sunday Buffet Luncheon that’s ’top of the town’! Their wholesome Cape-country breakfasts are well worth waking up for. 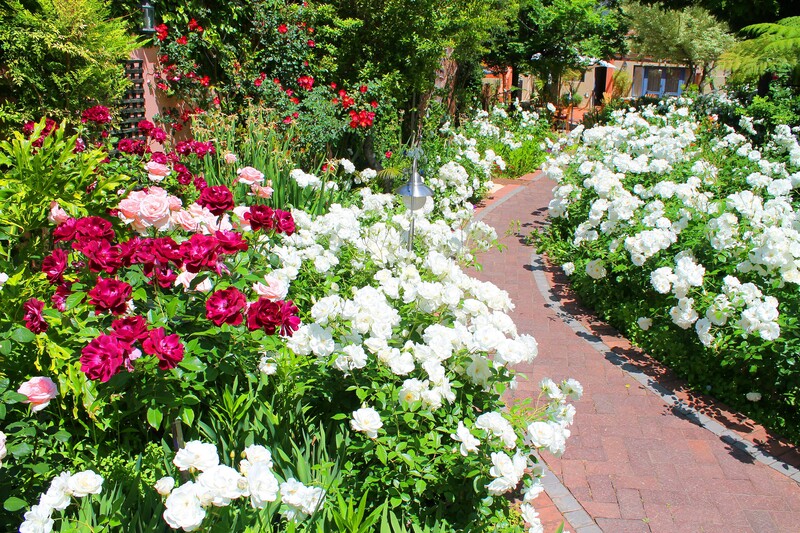 Beautiful lush gardens behold 2 swimming pools where you can laze your day away after a wellness treatment including your own private, warm mineral-water bath fed by Montagu’s famous hot artesian wells. An afternoon wine trip in their classics, including a 1956 Cadillac de Ville is a ride you’ll never forget. We are Fairtrade in Tourism accredited. The Hotel offers traditional cuisine, complimented by local wines, while Golden Oldies played on a Baby Grand takes you back in time. The Dog and Trumpet pub and wooden deck is the ideal spot for a sundowner. Guests can experience the healing water of our mineral pool. The Wellness Center specializes in health treatments, and boasts a steam room and mineral bath. Explore the wine route in chauffeur driven classic cars. The warmth of the welcome is unparalleled. If you're a returning guest, they remember you by name and where you last stayed. And if you haven't been there for a while, you'll find the same friendly faces. Staff turnover is almost non-existent. Art deco isn't everybody's cup of tea (although you soon discover a sense of 1920's romance in it) but there is a Victorian section at the back... and the garden! And this is what most guests remember best. It's a veritable oasis of roses and two swimming pools. It's the sort of place you don't want to leave. There's a friendly bar, a resident pianist in the old-fashioned dining room and... well... just a great ambience. The breakfasts are really memorable. Don't miss out on the freshly baked scones!